Today I bring you a Shrimp Cocktail with a Mexican Cocktail Sauce that is served inside halved avocados. Fun, right? The first time I had avocado in anything other than guacamole was at a staff lunch when I was waiting tables at the Café Rouge in the UK. The chef brought out a big platter of halved avocados, each filled with a lumpy pink concoction. I didn’t know if I agreed or not because I couldn’t figure out what that pink stuff even was. Imagine my surprise to discover that it was a shrimp salad (think baby shrimp mixed with mayo). Or, not quite a shrimp salad. It’s what the Brits call a Prawn Cocktail. The British Prawn Cocktail is different from our Shrimp Cocktail in that their sauce is pink rather than red. The pink sauce is called Marie Rose Sauce and contains, generally, a lot of mayonnaise, a bit of ketchup (some people stop here, but I don’t), a squeeze of lemon, a dash or Worcestershire, salt, pepper and a tiny pinch of cayenne. And they often MIX the sauce with the shrimp. So it’s not strictly a dip like our ketchup-and-horseradish cocktail sauce is. That explains the pink stuff. 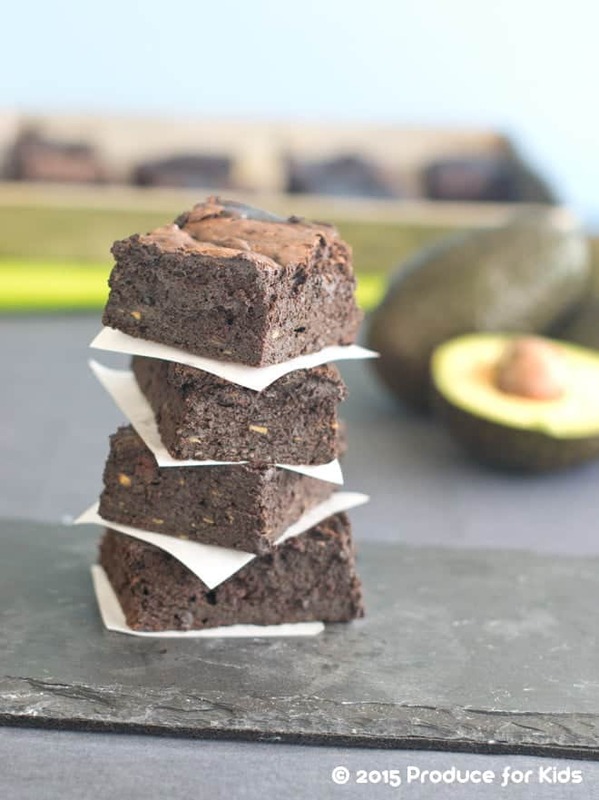 Are you still wondering about that avocado underneath? Of course you are! 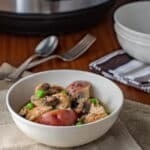 It turns out that piling the pink cocktail sauce and shrimp combination onto halved avocados was very trendy in the 1960s in the UK. As strange as it sounds, it really works too. You see, the half-spherical hole left by the removed pit of the avocado gives somewhere for the shrimp to sink into. 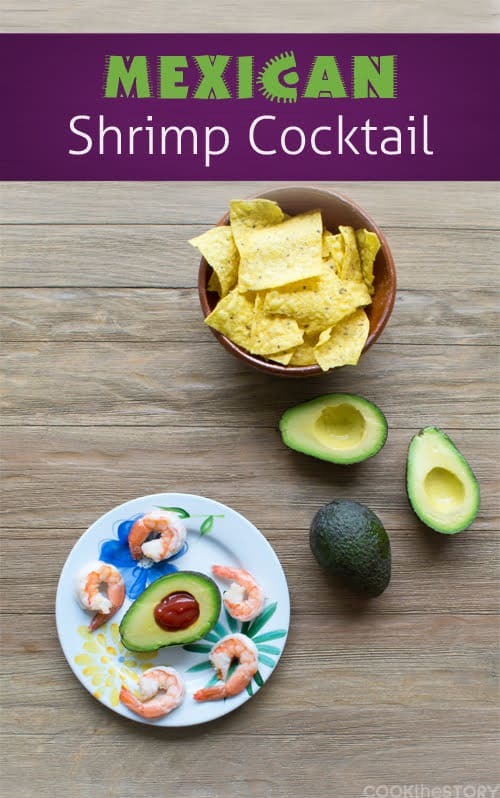 The colors are pretty together and the avocado and shrimp are a natural flavor combination. 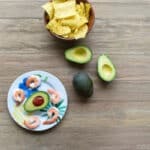 Check out the recipe and picture for Retro Avocado with Prawns and Bloody Mary Mayo here from the BBC. And here’s a little article that really gets at the context of when Prawn Cocktail with Avocado came of age. My recipe today is inspired by that retro avocado and shrimp cocktail dish. But, as a big nod to the avocado, it has a Mexican twist. 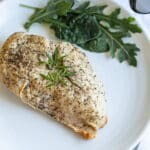 My recipe uses a cocktail sauce that is more similar to what we’re used to in North America. And it’s a dip, not a mixed up concoction. 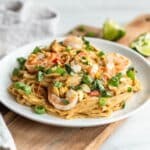 I like to serve this shrimp cocktail with tortilla chips. You dip the shrimp in the cocktail sauce. When you run out of shrimp, mash your avocado up with the remains of the sauce and dip in with the chips. Make sure everyone has a fork when you serve this appetizer. They won't need it for dipping and eating the shrimp. 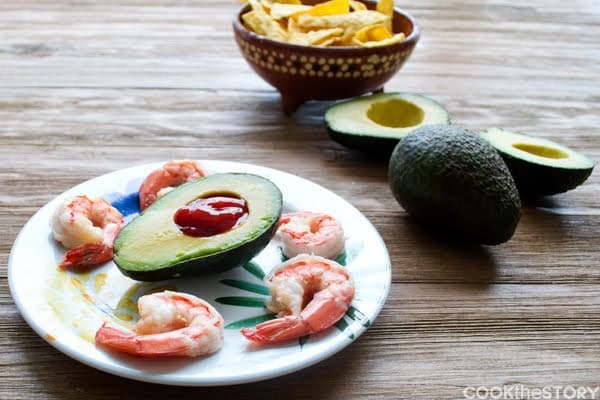 But when the shrimp are all gone, they can use the fork to mash what remains of their sauce into their avocado and scoop it all up with tortilla chips. In a small bowl combine the ketchup, lime juice, horseradish, cumin and chili powder. Place an avocado half onto each of 4 plates, cut side up. Spoon a tablespoon or so of the ketchup sauce into the whole left by the pit in each avocado half. Surround each avocado half with 5 of the shrimp. Serve with tortilla chips. 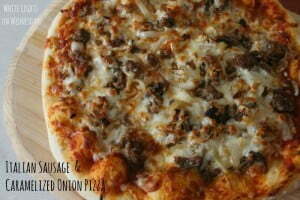 Julie from White Lights on Wednesdays brings us an Italian Sausage and Caramelized Vidalia Onion Pizza. 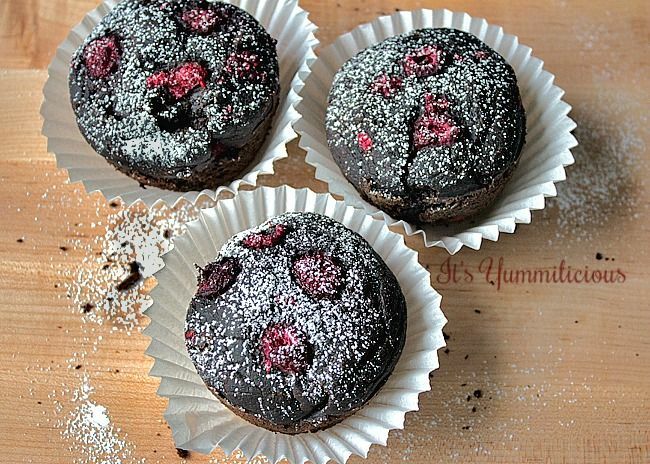 And Becca from It’s Yummi has brought us some really interesting and healthy Vegan Chocolate Raspberry Avocado Cupcakes. 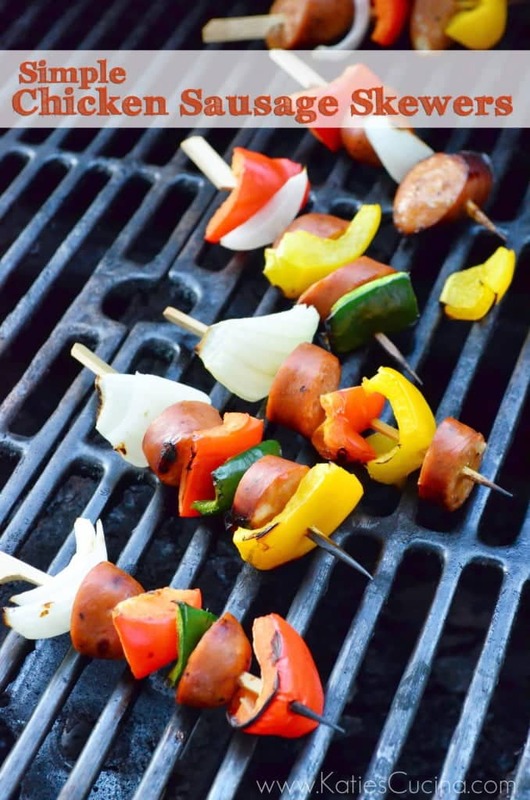 This post was originally part of the Virtual Picnic is sponsored by the Sweet Vidalia Flavors of Summer. The Virtual Picnic recipes so far have been a bit of summer heaven. They make me want to roll up the hem of my jeans and dangle my feet in the pool. Oh heck, who am I kidding? They just make me want to EAT! That is a super-cute idea! And I love the idea of mashing and eating after! Thanks Cathy! The mashing and eating after is the best part!